If you have ever owned a home with a fireplace, you are familiar with the important role that a chimney cap plays in the proper function of your chimney. Chimney covers also known as chimney caps are uniquely designed to keep certain elements from coming in and down through the flue while also doubling as the source to take inside elements up and out. The smoke that comes when a chimney has been lit needs a place to escape; therefore a chimney ventilation system is installed to prevent the smoke down drafting and causing a mess in and throughout the home. Hazards, such as the ones mentioned above, are reason enough to insure that a quality, effective and efficient chimney cap is installed on your homes ventilation system. A chimney cap protects the flue from being exposed to precipitation, leaves, insects, birds, squirrels and debris from damaging the chimney. Due to weather changes and curious rodents, it is important that a homeowner purchases top quality chimney cap in order to lessen the chances of damaging the inside of their chimney and causing unneeded expenses. Copper chimney caps are a great way to lessen the risk of chimney repairs. Copper chimney caps might be a tad bit more costly but for good reason. Copper chimney caps are made with galvanized, copper producing a more durable and better quality chimney cap. Copper chimney caps are rust and mold resistant making them a great purchase for those with health concerns; another bonus of choosing copper chimney caps is that they add a unique look to your home. FAMCO manufactures and distributes top quality copper chimney caps nationwide. 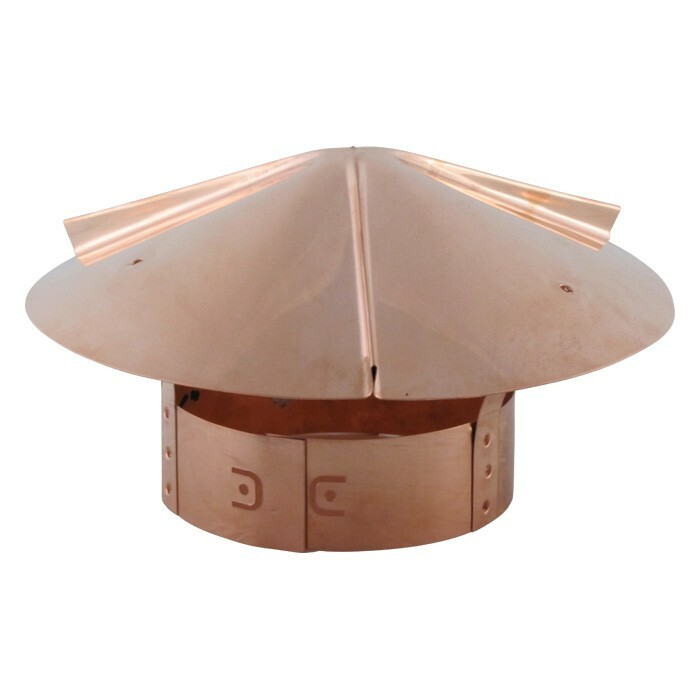 FAMCO has several copper chimney caps to choose from in various styles and added features. If you are unsure as to which chimney cap is best suited for your home call and ask the experts at FAMCO.